Republican Rep. Dan Crenshaw responded to fellow Texan Robert “Beto” O’Rourke on Thursday after the former congressman live-streamed his visit to the dentist’s office. 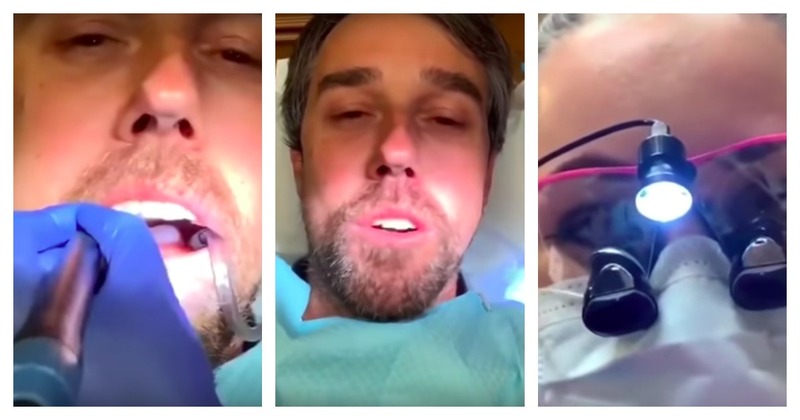 O’Rourke posted a series of videos on Instagram a week prior in which he chatted with his dental hygienist as he was sitting in the dentist’s chair. The hygienist was pulling teeth-cleaning tools out of the former congressman’s mouth while she discussed life in El Paso. Politicians have been using social media as a way to appear more relatable to constituents. Democratic Massachusetts Sen. Elizabeth Warren cooked and drank beer on Instagram Live after announcing her launch of an exploratory committee for a presidential campaign. “No, guys, it’s just not — don’t do that … They’re trying to be like AOC,” Crenshaw said, referring to Democratic New York Rep. Alexandria Ocasio-Cortez, who has been using her sizable social media following as a way to engage effectively with constituents. Crenshaw took umbrage with O’Rourke’s response during an interview with The Washington Post where he wondered if the U.S. Constitution is too outdated to adequately deal with the issues facing the country. “Anybody who questions the validity of the Constitution, whether it works in the modern era, should never be president,” Crenshaw told the Examiner. O’Rourke is reportedly planning to embark on a solo road trip across the country as he prepares for a potential presidential run in 2020.